Round LED Recessed Panel Light or LED Recessed Panel Light Round Smooth Vision is the best in saving electrical cost and also the environment. 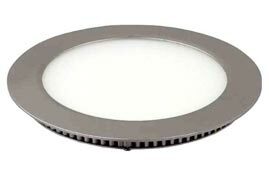 Our Round LED Recessed Panel Light is made from premium components, and is thus very reliable. Round LED Recessed Panel Light, offered by us, can be used at many places such as malls, banks, temples, etc.